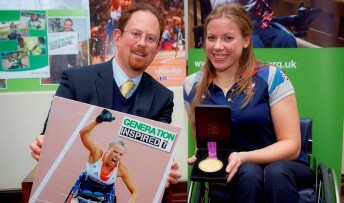 Cambridge MP Julian Huppert met Paralympic champion Hannah Cockroft MBE and pledged his support for a manifesto launched by charity Whizz-Kidz, at the House of Commons yesterday. The ‘Generation Inspired?’ manifesto is based on a late 2012 survey the charity conducted of its young Ambassadors and their parents – asking them about their hopes for a Paralympic legacy, and their ideas to improve opportunities for young disabled people. A copy of the report and a petition to affect its recommendations were also taken to No.10 Downing Street. 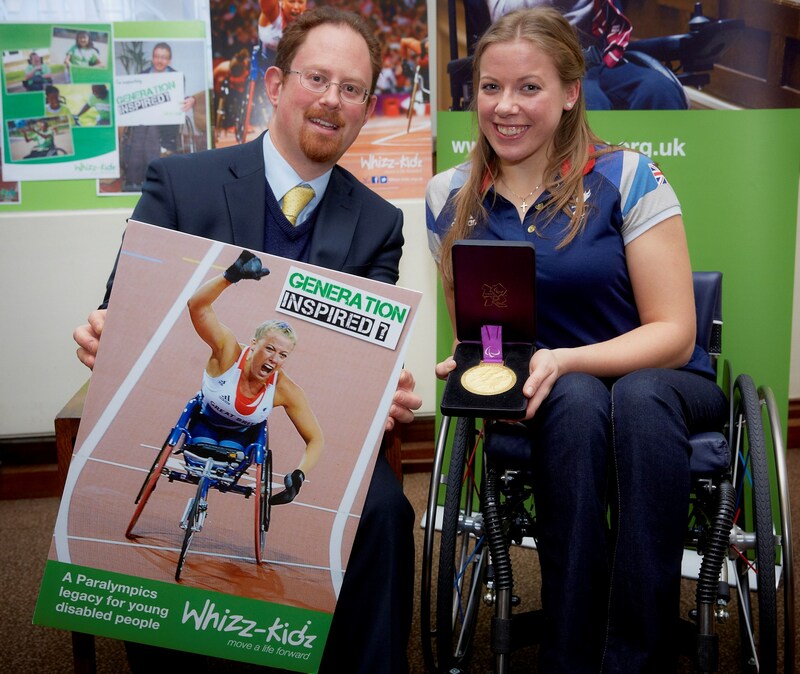 Julian met with double gold medallist Hannah Cockroft MBE, who received her first sports wheelchair from Whizz-Kidz in 2007, as well as two of the charity’s young Ambassadors – both of whom aspire to compete in the Games in the future. He said: ‘It was fantastic to meet Hannah and the Whizz-Kidz Ambassadors and hear about the charity’s valuable work providing mobility equipment and opportunities for young disabled people. They do fantastic work locally in providing disabled children and young people with wheelchairs and with life skills through their work placements programme and wheelchair skills training. In 2012, the charity transformed the lives of 2025 disabled children and youngsters in the UK by providing life-changing mobility equipment such as powered and lightweight wheelchairs, specialist sports wheelchairs and specially adapted bikes and trikes. For more information about Whizz-Kidz’s work providing disabled children and young people a chance of a childhood and the skills for a bright future, visit www.whizz-kidz.org.uk.